Have RAC Pre-Payment Reviews Finally Arrived? On July 25, 2012, CMS modified the text of its announcement of the Recovery Audit Pre-payment Review demonstration by changing the start of the demonstration from summer 2012 to August 27, 2012. CMS also announced that it will hold a Special Open Door Forum on an as yet unannounced date in August. According to CMS, payment determinations will be made following the same processes used by Medicare Administrative Contractors (MACs). As with post payment reviews, the RACs will be paid a contingent fee, in this instance a percentage of the amount CMS saves by not paying improperly billed claims. Claims subject to pre-payment review will not be subject to further review by a MAC or RAC. Shortly after the Open Door Forum, and apparently in response to a significant number of comments and objections, CMS announced the first of a series of delays to the start of the demonstration project to allow CMS to make changes to the operation of the program. What changes has CMS made to the operation of the demonstration project? The answer to that question is still unknown, but presumably will be answered to some degree during the upcoming Special Open Door Forum. What is clear, however, is that pre-payment reviews will have an immediate adverse impact on a provider’s cash flow. 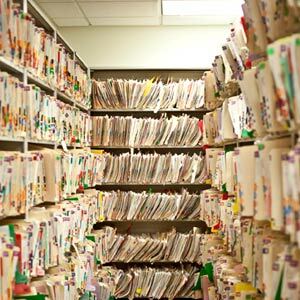 Providers should do everything possible to make sure that requested medical records make crystal clear each and every condition relied upon in making the medical decision as to the level of service required by the patient. Obviously, the requested records should be provided as quickly as possible, so as not to delay the RAC’s review of the claim and ultimately payment. Please contact us if we can be of any assistance with issues arising from RAC pre-payment reviews or in helping to resolve an issue with any of the CMS legion of auditors in the Medicare-Medicaid Audit World. Tagged: "Demonstration Prroject" and "Pre-Payment Review"